Focus on “friends” who may have seen her die and disposed of her body. 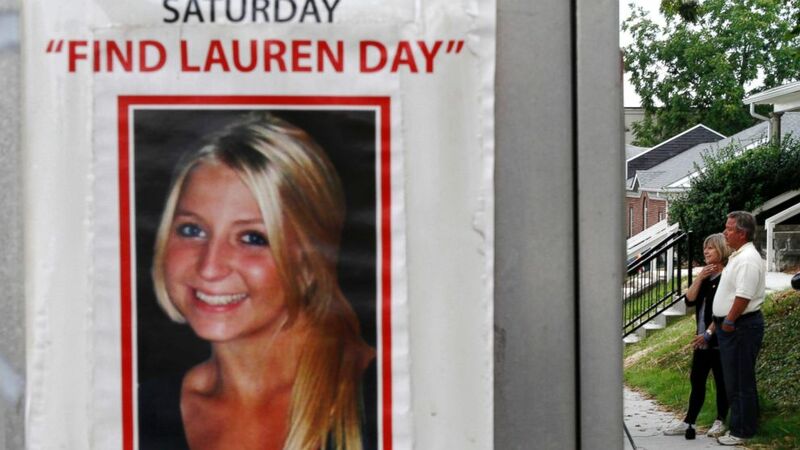 Five years to the month after Indiana University sophomore Lauren Spierer disappeared off the streets of Bloomington, her parents may be getting closer to knowing what happened. “I think I am one interview away from putting this case together,” said former FBI cold case agent Brad Garrett, now an ABC News consultant, who has been working alongside a team of private detectives hired by the parents, Charlene and Rob Spierer. Their 20-year-old daughter, a native of suburban New York, disappeared in the early hours of June 3, 2011 after a night of drinking and alleged drug use, according to the initial police investigation and later accounts from friends. Tune in to “20/20” tonight for the full Brian Ross report “Looking for Lauren”. Do you have information about the disappearance of Lauren Spierer? You can send your tips confidentially to Brad Garrett and the ABC News Investigative Unit by CLICKING HERE. She was last seen alive at approximately 4:30 a.m. on a Bloomington street corner, shortly after leaving a friend’s off-campus apartment. After working through a series of leads involving ex-convicts, Indianapolis drug dealers and members of a notorious biker gang, Garrett said the focus now is on whether something happened closer to home -- possibly at a party where she may have continued her night of partying. Did students witness her die after a drug overdose and then dispose of her body? "I really just would like to hear, 'This is where you can find your daughter,'" Charlene Spierer, Lauren’s mother, told ABC News. "It's the not knowing what happened to her, where she might be... It's unbearable." (ABC News) Lauren Spierer's parents, Rob and Charlene, talk about their missing daughter. When Rob and Charlene dropped Lauren off for her freshman year at Indiana University in 2009, they felt she was in a safe place. "I didn't have any qualms about saying goodbye," Charlene said. But what Lauren's parents only later came to learn from investigators is that Bloomington, like many college towns, has its dark side. Some students described rampant alcohol abuse and a thriving drug scene -- of which Lauren was allegedly a part. The 20-year-old had been arrested for public intoxication nine months before her disappearance, and after she disappeared, police found a small amount of cocaine in her room. "I don't think I realized to what degree, you know?" Charlene said about Lauren's involvement in the party scene. "It was a little bit of a shock." Garrett said that drugs likely played a key role in Lauren’s disappearance, "either in her own demise or [because] it placed her in harm's way because she was so impaired." Lauren had been dating her high school boyfriend and fellow Indiana University student Jesse Wolfe, but the night she disappeared, students described Lauren having a wild night, spent mostly with another student she had just met, Corey Rossman. 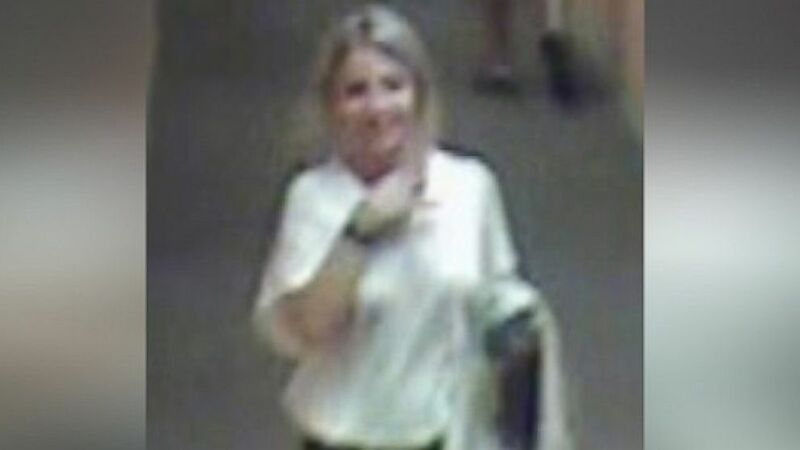 A still image from a surveillance camera released by police shows Lauren leaving her apartment complex the evening of June 2, appearing healthy and happy. (Bloomington Police) Indiana University student Lauren Spierer spotted on surveillance footage the morning she disappeared on June 3, 2011. 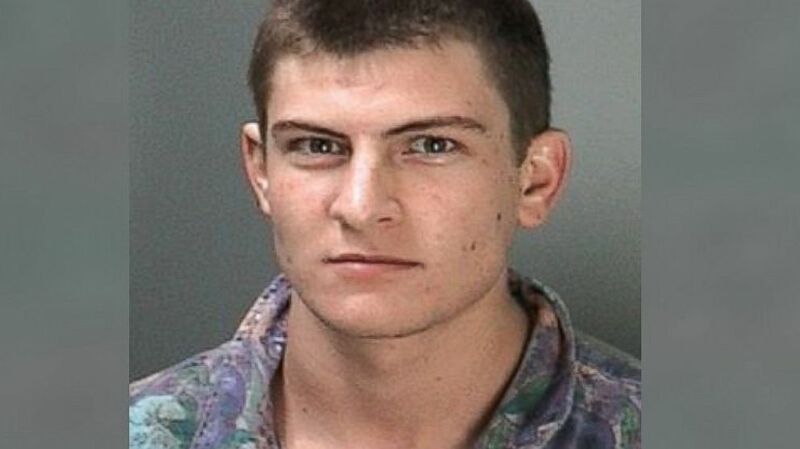 Seth Parker, who said he was into the Bloomington drug scene at the time, said Rossman later told him that when he met up with Lauren, they started partying and "pre-gaming" at another apartment before heading to Kilroy's Sports Bar just a few blocks away. The pair didn't get to Kilroy's until around 2 a.m.
"They're only there about 30 minutes, but during that time period, she leaves her shoes and her cellphone in the bar," Garrett said. "I think that gives you some indication about how out of it she may be at this point." Lauren and Rossman left Kilroy's and walked about a block away to her off-campus apartmet in a complex called Smallwood Plaza. Garrett said that when they got to the fifth floor of the building, where Lauren's apartment is, they ran into four male students in the hallway. "Apparently they don't like the way [Rossman] is handling Lauren. And Rossman supposedly says something smart to him and this guy decides to deck him," Garrett said. "[Rossman] goes down." (Bloomington Police Handout) Corey Rossman spent most of the night with Lauren Spierer the night she vanished, according to investigators. Lauren and Rossman quickly left. By around 3 a.m. the two made their way to Rossman's apartment a few blocks away. Surveillance cameras in an alley on the way show Lauren stumbling and that at some point Rossman tosses Lauren over his shoulder in a fireman's carry. Once in Rossman's apartmet, Rossman got sick and went to bed, according to his old roommate. 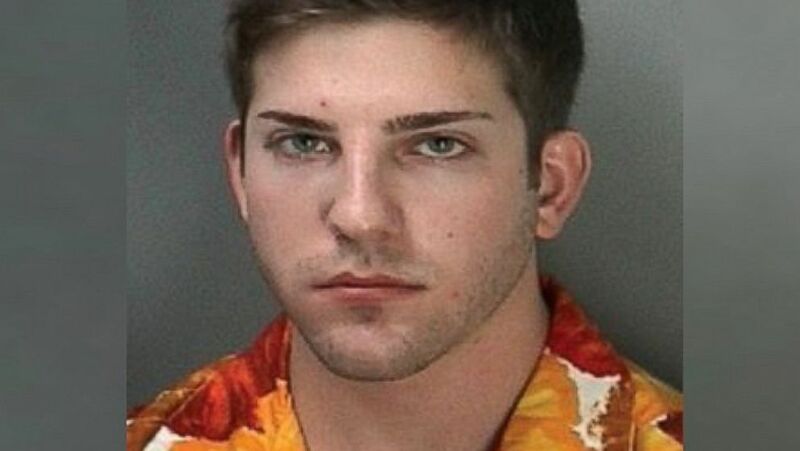 The roommate then took Lauren next door to the apartment of another friend, Jason Rosenbaum. "Jay sees what bad shape Lauren is in and says, 'Lauren, lay down on the couch. Go to sleep. Go home in the morning.' And she won't do it," Garrett said. "She says, 'I want to keep going, I want to go.' Jay walks her to the door and he sees her walk up 11th street." "He's the last person we are aware of who sees her alive," Garrett said. (Bloomington Police Handout) Investigators say Jay Rosenbaum is believed to be the last person known to have seen Lauren Spierer alive. The next night, Charlene and Rob Spierer were sitting down to a normal Friday dinner when they got a phone call that shattered their world. "The phone rang and Robbie said, 'Char, Lauren's missing,'" Charlene recalled. "So that's really heart-stopping." Within days the story was national news. Early on police said they suspected the chances of "foul play" were "very great." Otherwise, they said, Lauren would have made contact with someone. 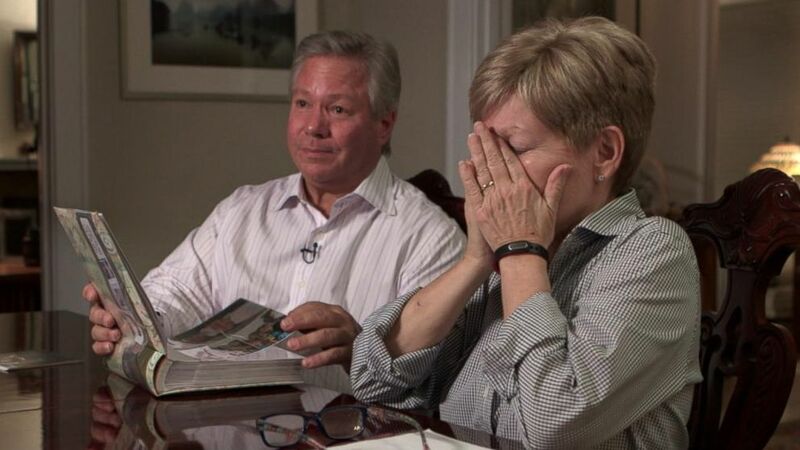 Charlene and Rob found themselves in front of news cameras, talking to the world about their missing daughter. "My first thing is to say to the person that has Lauren or that has harmed Lauren, 'Shame on you. Shame on you,'" Charlene said in a press conference then. Hundreds of volunteers joined Lauren's parents and authorities in a massive search that covered abandoned quarries, dense forests and, in a last ditch effort, a local landfill. But they found nothing. (Aaron Bernstein/The Indianapolis Star/AP Photo ) Charlene and Robert Spierer speak to reporters near a poster alerting people to their missing daughter, Lauren, August 15th, 2011 in Bloomington, Ind. "I start my everyday hoping that today is the day. I go to sleep every night knowing that I have failed and that I haven't done enough," an emotional Charlene said at the time. Five years later the missing posters are all but gone around the Bloomington campus. But the Spierers have not given up and quietly, behind the scenes, the case is very much alive as Garrett and the team of private investigators have turned up new witnesses, leads and theories. Garrett said he started with those closest to Lauren and the young men she was with the night she disappeared. "When something happens to someone, it's usually from their own circle," the veteran investigator said. Rob Spierer said the boys Lauren was with that night hired lawyers "very early on," which created a "wall of access" for the family. Lauren's longtime boyfriend, Jesse Wolfe, helped with the searches the first couple days but then his parents came and took him away, Rob said. "I thought it was odd," he said. (Bloomington Police Handout) Jesse Wolfe was Lauren Spierer's longtime boyfriend. No witnesses reported seeing Wolfe out that night, and he said he was at home watching the NBA finals, which ended just before midnight. He went to bed around 2:30 a.m., according to his roommate. Wolfe would not agree to be interviewed on camera by "20/20", but said he has cooperated with police and continues to deny any involvement in Lauren's disappearance. At the time, Lauren's friends described Wolfe as "the most loving boyfriend," and said he couldn't have harmed Lauren. Still, Garrett said that while he's not suggesting Wolfe did anything, Garrett's "not comfortable that [he] actually know[s] what he was doing in the early morning hours of June 3." Garrett said he also wanted to ask questions of Corey Rossman, who started the night out with Lauren. Police took a DNA sample from Rossman and he denied any involvement early on. "I was not the last person with her and that's all I can say, I'm sorry," he told reporters in 2011. "But I just hope they find her as soon as possible and I am praying for her and her family." Adding to the parent’s anger, they said Rossman was the one friend who refused to talk to them or their investigators. He also claimed to have lost his memory after being slugged in Lauren's apartment building. Rob Spierer said he doesn't buy it. "I think it's a case of self-preservation. Understandable human condition," Rob said. "I'm not sure of anything, but what I do know is that there's been a complete lack of cooperation. And he was the person who spent the most time with Lauren in the last hours of her being seen." 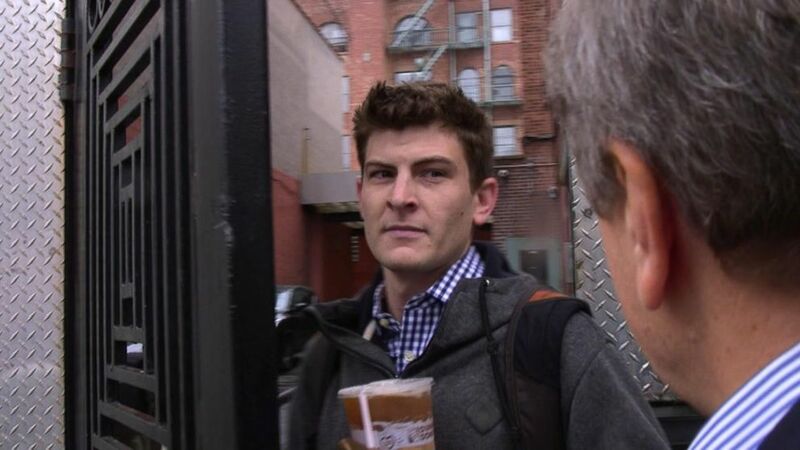 Rossman, who now lives in New York, declined repeated requests to talk with "20/20", and when ABC News cameras caught up with him, he said reporters would be sued if they followed him through a building’s gated entrance. 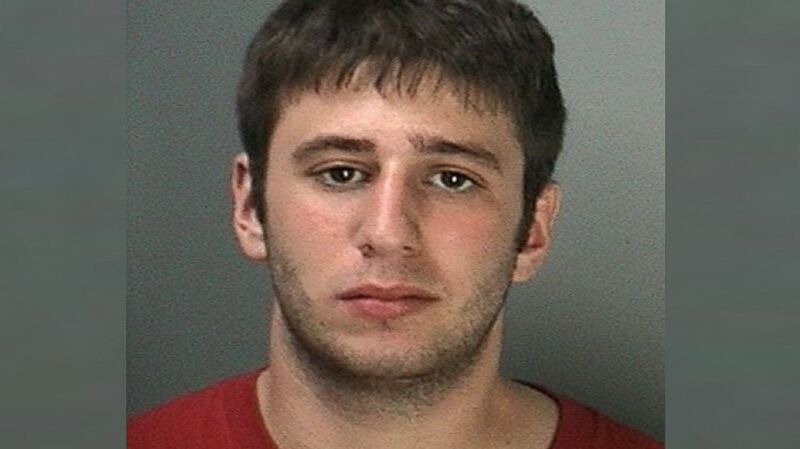 His attorney said Rossman continues to cooperate with police. (ABC News) Corey Rossmann declined to answer questions from ABC News' Chief Investigative Correspondent Brian Ross. Another disturbing theory that grabbed Garrett's attention is the possibility that a stranger, someone cruising around Bloomington, might have seen Lauren as the "ideal target" for an abduction. On the night Lauren disappeared, police said a white truck was spotted on surveillance footage not far from where she was last seen. "Is there a possibility this vehicle could be involved? Absolutely," a Bloomington police official said at the time. 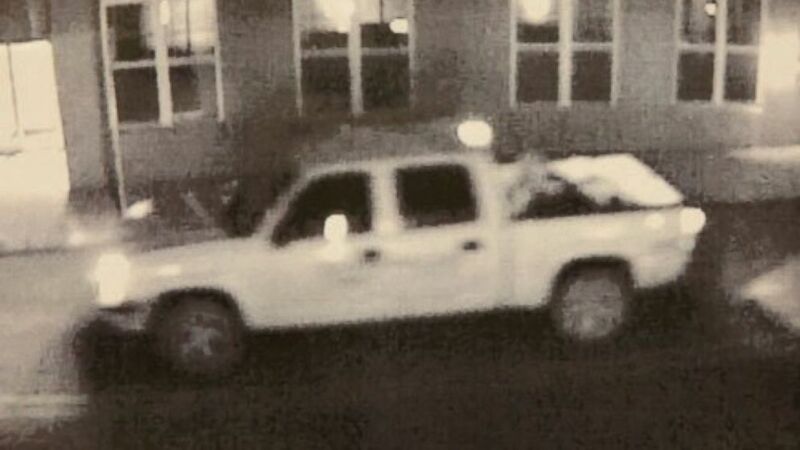 (Bloomington Police) Police are investigating any potential link between this truck and Lauren Spierer's disappearance. "Did he [the driver] happen to be driving down the street, saw her at this intersection and immediately pull over -- because that's what he's looking for -- talks her into the vehicle?" Garret asked. "That could have taken 10 seconds. At that point he's got her and he takes her to wherever." Then Garrett discovered an ex-convict, James McClish, was just released from prison for assaulting his ex-wife at the time and drove a similar white truck. He was living in a halfway house about 10 minutes from where Lauren disappeared. Garrett said a woman from McClish's past reach out and said, "You need to check him out. He was there. He's made comments [like], 'You know what happened to her [Lauren], the same thing could happen to you.'" The woman alleged McClish had killed Lauren and then buried her on a farm in southern Indiana. When Garrett approached McClish earlier this year, he agreed to take a lie detector test to prove his innocence. "20/20" arranged for the test to be conducted by veteran polygraph examiner Ralph Nieves, a former NYPD detective. (ABC News) Ex-con James McClish agreed to a lie detector test to show he was not involved in Lauren Spierer's disappearance. When it came to questions about Lauren, McClish stuck to his denials. Answering calmly and clearly, he said he had nothing to do with Lauren’s disappearance. Nieves said McClish appeared to be telling the truth. "I wish you guys the best of luck, I do," McClish said after the test was over. Roaming the streets of Indiana is a notorious motorcycle gang called the Sons of Silence. A documentary about them on the History Channel described them as so brutal as to be a new kind of mafia. The alleged link to the Spierer case came in the form of tips about a former member of the group, Robert Strange, who goes by the name of Bo Dean. Strange doesn't have a criminal record, but he's well known to authorities. "He's got a reputation for being what they call an enforcer," Garrett said. "If you have a problem in your gang, you come to him and he takes care of it." (ABC News) Robert Strange, who goes by Bo Dean, is a former member of a local motorcycle gang, according to investigators. Garrett said he obtained an online message in which one of Strange's relatives claimed that Strange shot Lauren in a dispute over drugs and money and then buried her on his property. "It's very good fertilizer," the message read. On a rainy afternoon last month, "20/20" went down a country road west of Indianapolis to talk to the man. Strange knew ABC News was coming, but said he didn't want to be on camera. "No, I didn't shoot her," he said from the doorway of his home, hand held up to obscure his face. "I had nothing to do with it. I don't even know the broad. I told you that... There ain't no body here [and] I ain't never seen the broad. Never been around her." As he investigated further, Garrett said that based on Lauren’s cell phone records, it was unlikely she had suspicious links to Indianapolis, where she was supposedly taken. Strange was looking less like a suspect and more like someone with enemies trying to make trouble for him by implicating him in Lauren’s disappearance. "If you lead a life like Bo Dean has led, there's a lot of people that don't like you," Garrett said. "Based on the facts that we have today, he's off my board." As Lauren's parents grew frustrated with the lack of results, they also grew frustrated with the local police in Bloomington. 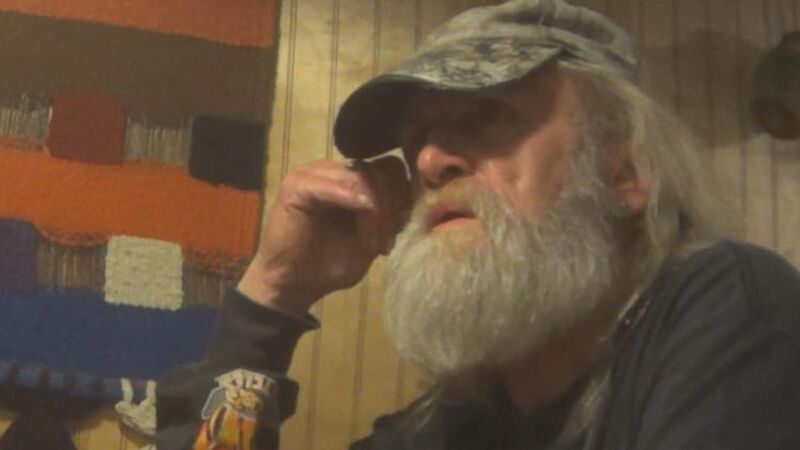 “We were not getting information from the police, as far as what they were doing, what they were finding,” Rob Spierer said, adding that it appeared to be the police’s “policy” to shut them out. The Bloomington police also refused to release additional surveillance footage of Lauren from the night of June 2 and morning of June 3. The move baffled Garrett, as many police stations publicize as much information as possible. Bloomington Police Chief Michael Diekhoff declined to sit down with “20/20” and when ABC News caught up with him outside the police station, he said the investigation was still open and said that he had given the Spierers an update just the day before. He declined to say why he wouldn’t release the surveillance videos. In their frustration, the Spierers turned to the private investigative firm, Beau Dietl, and set up the website FindLauren.com to collect tips. It was on that site that the family received a tip that Garrett said may hold the best chance for an answer. It led to a young man by the name of Corey Hamersley, an inmate at an Indiana state prison. Hamersley, once a star student and athlete, got deep into the drug scene at Indiana University. One year after Lauren's disappearance, Hamersley had a meltdown while high on drugs. "[He] steps out of his apartment, has nothing on but a hat. He takes a firearm and starts shooting into a house," Garrett said. (Nicole Stone) Corey Hamersley is photographed as he's arrested in Bloomington, Indiana. He also opened fire on police, which earned him a 24-year prison sentence. While behind bars, another inmate alleged he was playing cards with Hamersley when Lauren's photo came up on the television mounted to the wall. "Immediately Corey looks up at the TV and says, 'Man, I knew the guys that did that,'" said the other inmate, who spoke to ABC News on the condition of anonymity. The inmate said Hamersley told him the story of how Lauren died at a house party with a group of unidentified students. "They were drinking and doing ecstasy," the inmate said, recalling Hamersley's purported jailhouse account. "She OD'ed. It scared them. They didn't know what to do with her and they took her down to the Ohio River... and got rid of her... disposed of her body." 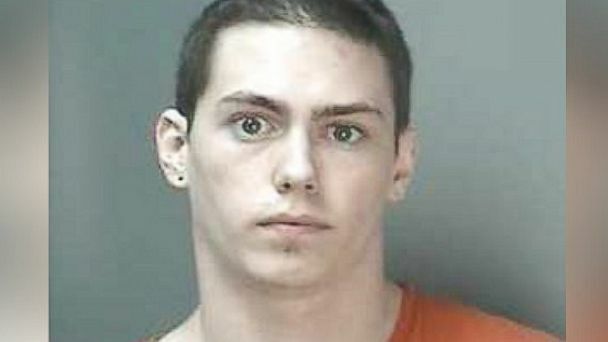 (Bloomington Police) Corey Hamersley was sentenced to more than 20 years for opening fire on police. Garrett said it's a theory he's taking to heart. "Because the idea is very simple. One of the mistakes in most criminal cases is we, investigators, try to make them too complicated. And many times, at the end of the day, they end up being quite simple. The simplest is, she died at a party in Bloomington and somebody got rid of her." The theory made even more sense when Garrett learned from Lauren's parents that she had a heart condition that could have come into play during the night of partying. In a prison interview with Garrett and private investigator Bill Benjamin, Hamersley denied involvement. When asked if he helped move her body, he said, "Absolutely not." Benjamin asked that Hamersley contact them if he remembered anything useful, but Hamersley said he "probably" wouldn't do that. "I do not want to be associated with this at all," he said. Garrett said he believes he's close to solving the case, but until it’s solved, the Spierers are desperately seeking answers. "Now it's just all about finding her, getting answers to what happened to her," Rob Spierer said. "We know that she just didn't fall off the face of the earth and vaporize. Something happened to our daughter, and we believe that there are people out there that know exactly what happened to our daughter." "That's the most frustrating thing," Charlene said, "knowing that somebody knows right now. And they could change our lives in the blink of an eye. "Just tell us where Lauren is," she said. If you have information related to the Lauren Spierer case, you can send it confidentially to Brad Garrett and the Brian Ross Investigative Unit by CLICKING HERE. ABC News' Shilpi Gupta, Alex Hosenball, Cho Park, Zoe Lake and Rhonda Schwartz contributed to this report. 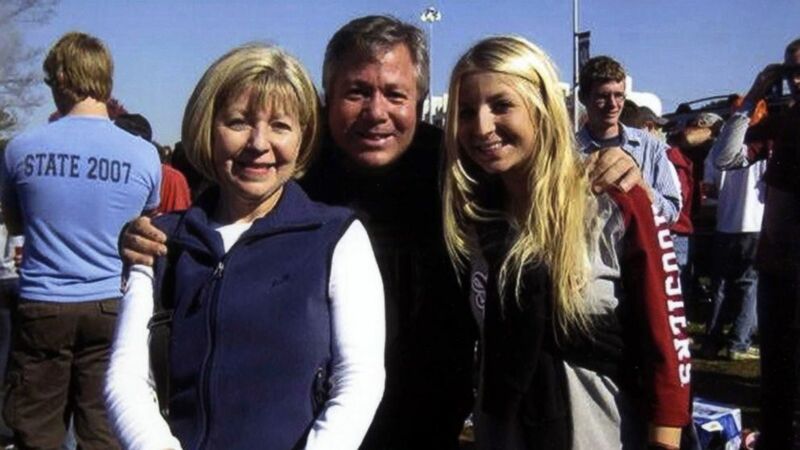 (Spierer Family) Charlene and Rob Spierer with their daughter Lauren.